I’ve hope you’ve all had a wonderful bank holiday weekend, I certainly did, long walks in the countryside, fireside dinners with friends and family, and of course lots of relaxing doing my emails… well I find it relaxing anyway! I certainly celebrated in style with a cheeky chinese takeaway from our local favourite Goldfish in Hampstead, and boy did it taste good! So aside from eating my bread, I found the time to go and see the most wonderful evening of dance with my dear friend Molly Molloy, If Play is Play By HeadSpaceDance. Three ballets, all riveting and the dancers were dynamite. 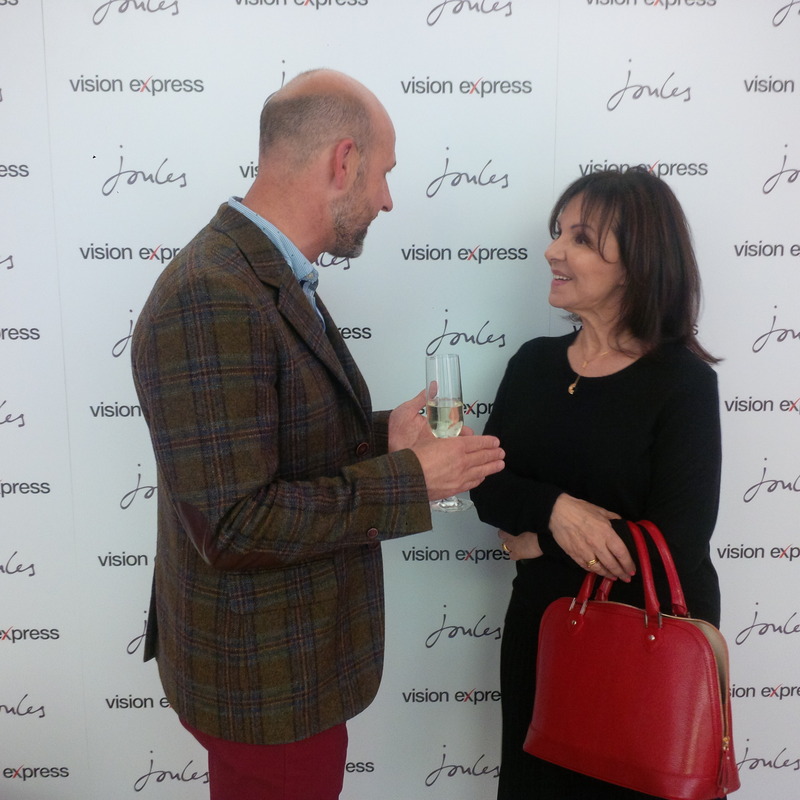 I had a fabulous time with Alana at the launch of the new Joules collection for Vision Express, and even bagged myself a gorgeous new pair of frames! We ate the most delicious goats cheese canapés, sipped lovely fresh lemonade, and I even got to chat with Mr Joule himself, I can’t believe how huge their brand is! I’ll definitely be picking up a pair of their famous wellies for next time I head to the country. It was also so great to meet celebrity stylist Gemma Shepperd, who’s incredible outfit had me green with envy, I know who I’ll be calling next time I have an event! So after weeks of doubling up on meetings about Pythons and Brazouka, it’s all finally starting to come together! You can keep up to date with Monty Python by checking out their live Twitter feed @montypython, and I’ll be filling you in on all the latest from Brazil so keep an eye on my twitter @arlenephillips for more live updates!